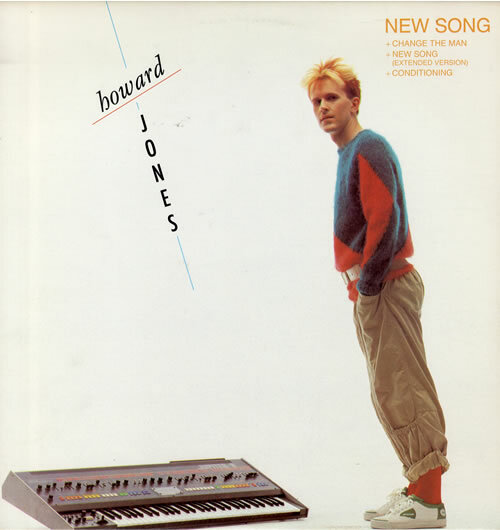 Can it really be more than 30 years since Howard Jones first arrived on our TV screens, with that cutaway t-shirt and distinctive split-level dyed-blond spiky hair, amid a bank of synthesisers performing New Song on Top of the Pops? You may have been distracted by his face-painted and chained dancing buddy, mime artist Jed Hoile, who was also worrying commuters at Holborn tube station in the accompanying promo video (and who was rubbish with a broom in the school corridor scene before his mate instigated a rather unlikely pupils’ mutiny). Either way, Howard more or less set out his manifesto in that debut single, calling on us to challenge our pre-conceived ideas, see both sides, and throw off our mental chains. Not that the music press were impressed, seeing this Hampshire-born lad of Welsh parentage as just the latest 15-minute pop fame sensation. I confess that I probably felt the same way. The synth-heavy feel of those records was not what this post-punk teen was about at the time. Listening back though, I realise the songs are there beneath the often-dated production. And there’s no doubting Howard’s musical ability, with Hide and Seek a prime example. Just watch him perform that on Freddie Mercury’s Steinway at Wembley Stadium for Live Aid in 1985 and feel the goosebumps when the chorus comes in. But Howard was no overnight success, having devoted half of his 28 years then to his music. And as it turns out he had true staying power, this master of his art still out there, still performing, still recording. What’s more, having spoken to him I can reveal – maybe not exclusively – that he’s an all-round nice bloke too. 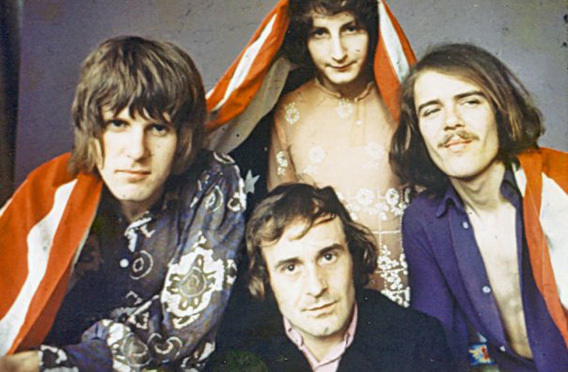 New Song brought Howard a top-three UK hit at the first time of asking, one of 10 top-40 singles, six making the top 10. Tree decades on that track was used in a pivotal scene in Breaking Bad, as Aaron Paul’s character Jessie Pinkman questions if he wants to ‘play by the rules’. And that suggests he somehow surpassed his allotted quarter-hour shelf-life. 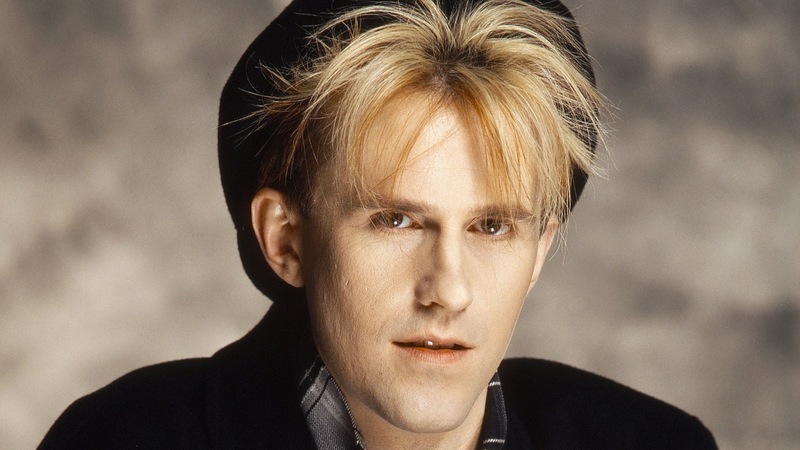 He might not have been a music press darling, but Howard’s first three albums, Humans Lib (1984), Dream into Action, (1985) and One to One (1986) were all top-10 hits, the first going double-platinum and the other two gold in the UK. In fact, he saw major commercial success all over the world (the second LP going platinum in Canada, the US and Japan, among other markets). From New Song, What is Love? and Hide and Seek to Pearl In The Shell, Like to Get To Know You Well onwards, Howard proved his pop craft, going on to sell more than eight million albums across the globe, and becoming one of the select group of British artists who comprehensively ‘broke America’. Fast forward a bit and last year he introduced us to his Engage project via a Pledge Music campaign, a CD/DVD/HD/HJ experience incorporating many of his on-going passions – from a love of classical music, electronica and pop to cinematic sound and vision, providing a platform for contemporary dance and ballet, all under-pinned by his own brand of philosophy and regard for elements of the works of Einstein, Ikeda (not to be confused with the Scandinavian furnisher), Kierkegaard, Thoreau and Tolstoy. This committed Buddhist’s message then wasn’t so far off that initial call to arms either – encouraging respect for all, to live in the moment, defeat cynicism and promote universal brotherhood and sisterhood. Right on. If it sounds like I’m not being totally straight-faced when I write that, I should add that there’s nothing not to like there. Perhaps I just want to get over that Howard’s got a nice sense of humour about him too – this isn’t po-faced, homespun rhetoric. As I suggested before, he’s one of life’s good guys. 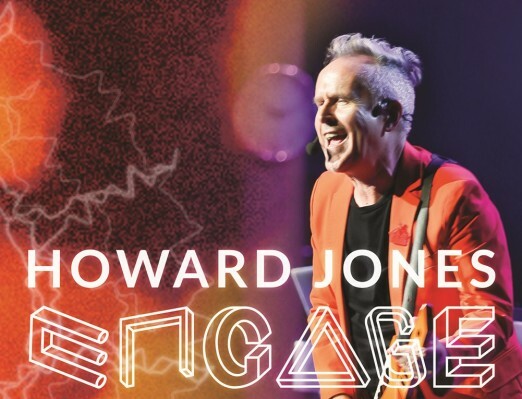 Now, all these years after launching Human’s Lib, he’s out there again with his latest solo show – An Evening with Howard Jones (The Songs, The Piano & The Stories), offering an intimate trip through his 30-year career. What’s more, many of his best-known songs were composed on the piano, and in his acoustic show he shares behind-the-scenes tales and reveals the inspiration behind many of those hits. Howard may be tucked away in Somerset when he’s off the road these days, but – three weeks away from his 61st birthday – he’s certainly not gone down the retirement route, as I found out when I caught him on the phone at his country pad near Taunton, where he moved around a decade ago. And it turns out that life’s pretty good for a man who looks out on the Somerset Levels from his home studio between live engagements. Married for more than 30 years to Jan, who he met while teaching piano, he’s clearly a devoted family man too. Any of them following your lead into music? Are your brothers (Howard’s the oldest of four, with the younger three in their own band, Red Beat, back in the day) still playing? Have you looked back into your family history to see where this affinity with music came from? Talking of which, Howard – whose family headed to the Cardiff area not long after his birth, with a later move to Buckinghamshire then a spell in Canada – has toured with Swansea’s Morriston Orpheus Choir before now. You can’t beat the sound of a good male voice choir, not least a Welsh or a Cornish one. When you started playing piano did you have something at home to practise on? Was that family move to Canada band work-related? All good practise for the travelling you were about to embark on in your professional career, I guess. The music was always there, and I believe your first band played a bit of prog rock. Who were you listening to around then? Howard, who started to learn piano at the age of seven, enrolled at the Royal Northern College of Music in Manchester in 1974, aged 19. Did he enjoy his time there? “I did. I didn’t stay the distance though. It was a four-year course and I stayed two and a half years, wanting to get on and do my own music. But I was a crazy student who used to practise nine hours a day! Howard soon began performing as a solo artist in the clubs and pubs of High Wycombe. And at one such show he noticed Jed Hoile dancing and performing mime to his songs, in what proved to be the start of a visual partnership that continued until 1987. But he’s back at his old Manchester (piano) seat of learning on February 18th. So what will that and the other 11 dates on this tour involve? 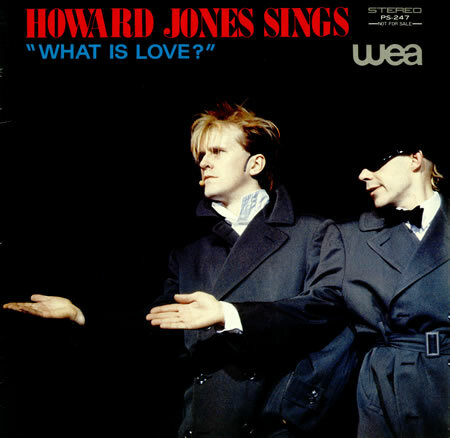 Is it Storytime with Howard Jones? And it’s just you and a piano? You were something of a pioneer for the synthesiser (something he started experimenting with in 1979), so I guess that could be construed as a little surprising. “Yeah, I was the first to do the one-man electronic band, and don’t think many people have ever done that, other than Tom Dolby. It was a real case of ‘this is what this technology can do, so you can form a one-man orchestra with the sequencers and drum machines and synths all around you’. And I know that had a big impact on a lot of young artists who were keyboard-orientated”. Further breaking down those electronic pre-conceptions we might have, you’ve got Elise Yuill guesting, a Devon-based singer-songwriter making waves on the folk circuit, about to release her debut album, with several successful shows in 2015, including a slot at Glastonbury Festival. I’m guessing your dancer, Jed Hoile, isn’t involved in any of these acoustic shows (he adds, with tongue firmly in cheek). It’s difficult for the current teens out there to understand, but your run of success in the mid-‘80s was quite something. Those were big days for the music industry. “I suppose I feel really grateful that I had that decade of being high-profile. That really set me up for the rest of my career. I don’t think it would have been right for me to be in that spotlight my whole life though, because that’s not really me. I’m guessing that, as opposed to the horror stories we hear about a lot of artists from the ‘50s, ‘60s and ‘70s, you were well looked after. Did you have an eye to business too? Can you remember what you were doing when you first heard Human’s Lib had topped the album charts? I put to Howard that I love the image of him watching the October ’83 Top of The Pops’ pre-recorded New Song on a TV perched on an ironing board before a gig at the University of Kent. That seems to makes it all a bit more real. He laughs when I tell him this. There were clearly a few life lessons for you along the road. “Absolutely, and people didn’t know the back-story of me being bands since I was 14. It had taken me 14 years to get a record deal – it was no overnight success. But I realised very quickly that you shouldn’t listen to the good reviews and you shouldn’t listen to the bad reviews. You know whether you’ve delivered a good gig – just look out in the audience and see how they’re feeling. Just go on that. All pretty ironic bearing in mind your call to arms in New Song, challenging us to throw off those mental chains, I add, and Howard starts to answer this, but then the image sinks in and he laughs again. Would you say your faith has helped you? Buddhism has been an important part of your life for a long time. “I’ve been practising for 22 years, so it’s really embedded in my life. Buddhism for me is really about getting stuck in rather than removing oneself from life. It’s about facing the difficult stuff head on, not turning away from it. That’s really stood me in good stead, because if you don’t confront the difficult stuff it just gets worse and mounts up. Have you made some lasting relationships through your music, and do you keep in touch with many of those ’80s artists, from China Crisis onwards? 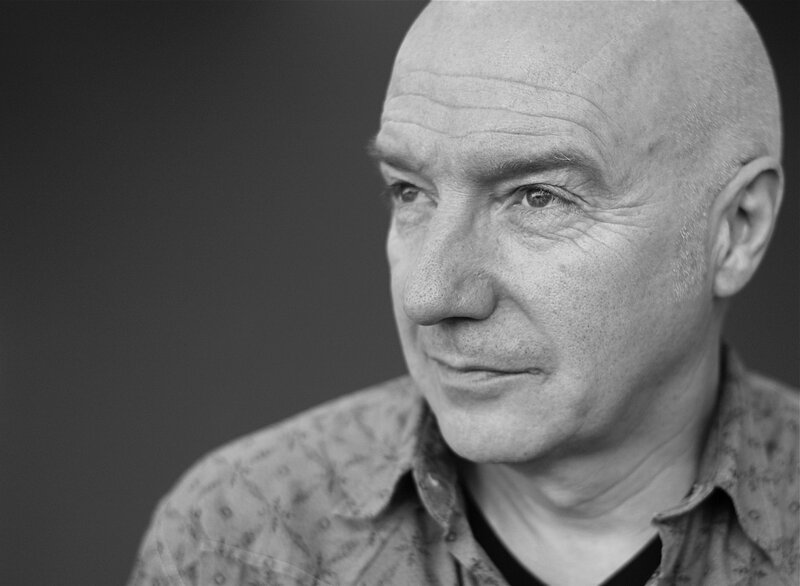 I interviewed Midge Ure for this blog a few months ago (with a link here). He came over very well, with some great tales. On that front, last summer marked the 30th anniversary of Live Aid. In retrospect, how was the experience for you? Was it a bit of a blur? “No, it’s crystal clear! The amount of adrenaline that was pumping around my body that day I think helps to embed the memories very deeply. I played just one song, but it was on my own. So it was just me and a piano, and the world out there, and I don’t think anyone would deny it was the biggest gig anyone there was going to do. “I was very nervous but went out there and started a bit fast, but got to the chorus and the whole of Wembley joined in. It was just like being lifted up – an incredible experience. From then on I started to enjoy the day. 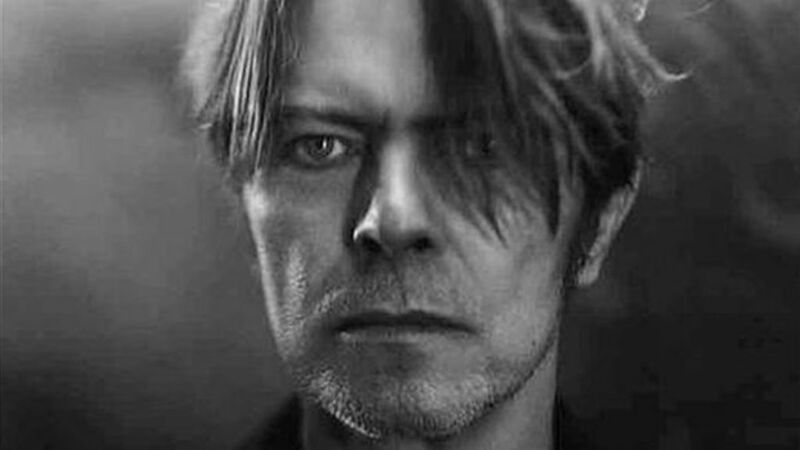 Howard told me this tale just a few days after news of Bowie’s death broke, and he shared his thoughts. I have to say, you made me feel old when I realised you hit 60 last year. You seem to be doing very well on it though. While we’re more familiar with Howard’s first three albums, there have been several more since, right up to last year’s Engage. So where might we start if we’re catching up? “It’s difficult for me to answer that, but those first five albums I did for Warner Brothers showed the progression in writing, and since –in the detox years – I’ve experimented and each album has its own character. Some are very acoustic, some are very electronic, and Engage was a multi-media experiment for me. “I’ve also just done songs for the Eddie the Eagle film, working with Gary Barlow. He asked me to write a couple of songs that were of the time, with the film set in the ’80s. He wanted songs with the language of the ‘80s but new, and I’ve incorporated the story of Eddie into those. And it’s quite nice to do an album – including those songs – using the ’80s theme, just for fun, before I do the next ambitious thing. Howard’s played his part in the whole ‘80s festival circuit, to great success. But that doesn’t seem to be his way, I put to him – just dwelling on the past. There have been other side-projects. For example, you were running a vegetarian restaurant at one stage, I believe. Was there ever a chance of the proverbial ‘proper job’, or did you always have it in mind where you were going with your life? It’s certainly been a dream career, doing all your own work and writing and performing with everyone from Ringo Starr and Sandie Shaw to Midge Ure. Are you still recording in The Shed? Only that sounds like every bloke’s dream, isn’t it? 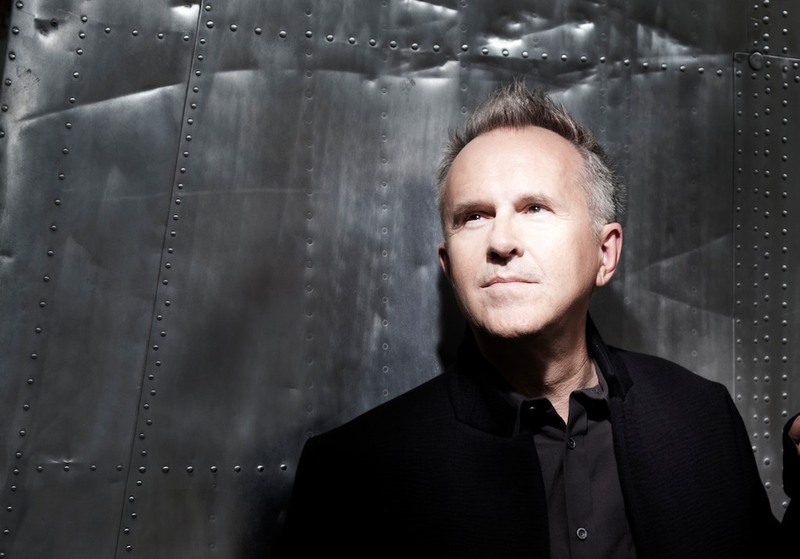 For readers in the North West, An Evening with Howard Jones (The Songs, The Piano & The Stories) calls at Liverpool’s Epstein Theatre on Friday, February 12th (tickets £23 via 0844 888 4411 or online here) and Manchester’s Royal Northern College of Music on Thursday, February 18th (tickets £22.50 via 0161 907 5200 or online here). Further UK dates: London Union Chapel (February 5th), Winchester Theatre Royal (February 6th), Exeter Phoenix (February 7th), Glasgow Oran Mor (February 10th), Gateshead The Sage (February 11th), Worcester Huntingdon Hall (February 13th), Sheffield City Hall (February 14th), Leeds City Varieties (February 19th), Lincoln Drill Hall (February 20th), and Bury St Edmunds Apex Arts Centre (February 21st). And for further information on Howard Jones, head to his website, while keeping track of him via his Facebook and Twitter links. This entry was posted in Books Films, TV & Radio, Comedy & Theatre, Music and tagged Breaking Bad, Cardiff, China Crisis, David Bowie, Duncan Sheik, Eddie the Eagle, Elise Yuill, Engage, Epstein Theatre, Gary Barlow, Hide and Seek, Howard Jones, Human's Lib, Jed Hoile, Keith Emerson, Live Aid, Liverpool, Manchester, Midge Ure, Morriston Orpheus Choir, New Song, Rewind, Royal Northern College of Music, Taunton. Bookmark the permalink. Splendid interview. I really enjoyed it. 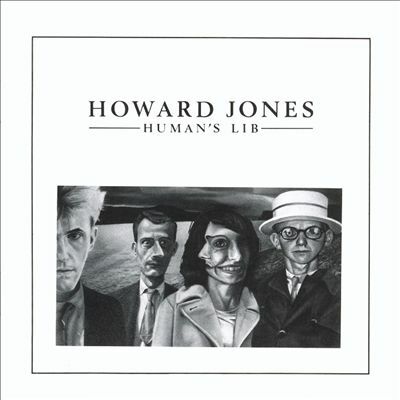 Howard Jones a really incredible artist.Thanks for sharing. Thanks for the feedback, Diane – much appreciated!